Summer is the perfect time for the adventure of travel, doing new things and going to new places. Summer means a slower pace of life, enjoying more time with friends and family, spending time outdoors at festivals, barbecues and other fun events. Summer is also the perfect time to look up from our smartphones and look at the world around us. Getting away, even for just a couple of days is also perfect for the summer season. Make the most out of your summer with these tips for traveling this summer. It doesn’t matter where in the world you travel, hydration should always be an important part of your journey. Keeping yourself hydrated can help keep you healthy and ready for the adventures ahead of you. Especially in the hot summer, dehydration can set in pretty quick and keep you from enjoying your well-deserved respite. Dehydration can take you down fast but isn’t always easy to recover from putting a serious damper on your precious vacation time. Something as simple as keeping a water bottle with you wherever you go can keep your summertime plans on track. Many travelers take it a step further by picking up drinking water from a local shop as soon as they have arrived at their destination. Making water available to you at all times during your trip makes it easy to stay hydrated. Of course vacations are perfect for some good ol’ rest and relaxation, but being active while on vacation is also important. 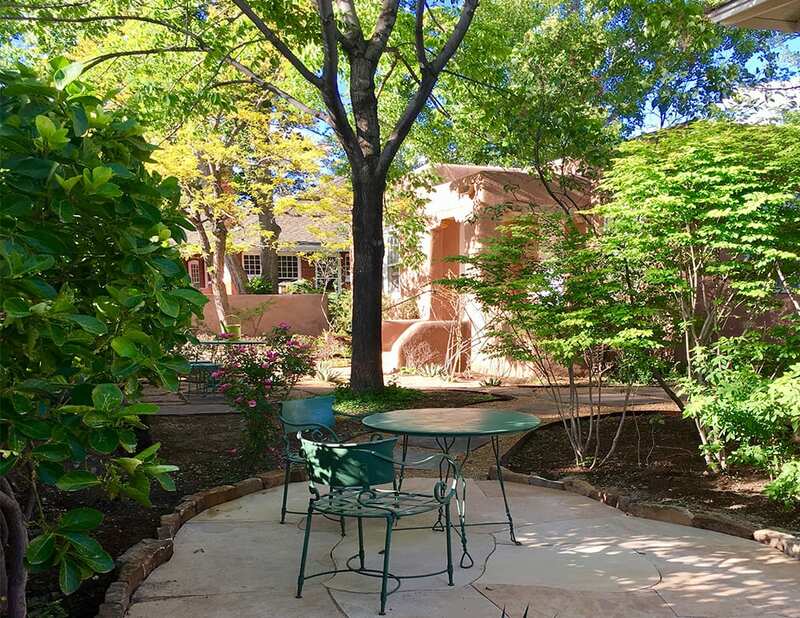 Relaxing in our beautiful gardens is wonderful, but so are the sites of Santa Fe. With much to explore while on vacation, you won’t want to spend your entire trip at your hotel. You will want to get out and experience the wonders that your destination has to offer. Here in Santa Fe, you’ll want to explore the Santa Fe Indian Market, The Loretto Chapel, one of the amazing art districts or even catch an incredible opera. Having flexible travel plans can really help you make the most of your summer travels. You can find the best deals when your travel dates are flexible. Arriving on a Tuesday instead of a Sunday can help stretch the vacation budget, saving you some significant money. Specials and packages can vary and can be easier to take advantage of if you have flexible travel plans. You may even find that your flexible travel plans can lead you to opportunities for experiences that you may not have otherwise had. Leave some free time in your itinerary for activities that pop up while you are on your trip. Many travelers find that a few conversations with locals can lead to activities that weren’t previously found during an internet search of “things to do” in the area. Arming yourself with knowledge by doing a little homework ahead of time is well worth the effort. Planning details of your trip and having accommodations, transportation and an itinerary of activities laid out before you depart will spare you from having to use precious vacation time on planning. Get the planning done before you go, so you can take full advantage of your vacation time. Learn about special events that might be taking place while you are visiting so you can either work them into your itinerary or plan accordingly for events that could impact your trip. Traveling to a destination that will be hosting a large music festival may not appeal to each traveler. Knowing about events like those ahead of time can keep unwanted surprises to a minimum.